LIVING LENS HOLISTIC HEALTH TRAINING. Would you like to reveal a happier, healthier version of yourself? 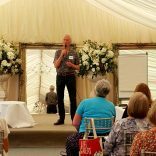 Then join a Living Lens holistic health training day. The Living Lens disk is your very own personal, on demand, holistic health device that can be used discreetly almost anywhere. 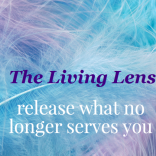 Join the one-day training and learn how to use the Living Lens to clear old thought patterns that are holding you back. With the Living Lens, you can quickly re-wire your brain with a process called Neuro Pathway Regeneration. NPR clears the way for a happier, healthier version of yourself to reveal itself. And, as an extra bonus, you will also be able to help your family and friends become a better version of themselves too.